A sign of things to come in other markets? 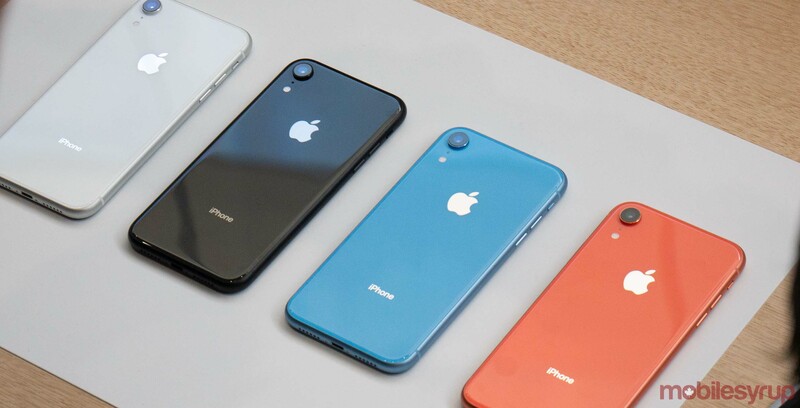 Initial demand for the new iPhone XR is so weak that Apple reportedly plans to cut the price of the new smartphone in at least one region. According to a new report from the Wall Street Journal, the company will slash the price of the iPhone XR in Japan by offering subsidies to the country’s carriers. Citing multiple unnamed sources, the publication reports the price discount could come as early as next week. It seems unlikely, at least for now, that Apple will implement a similar price discount in Canada; in this specific instance, Apple’s decision to subsidize the cost of the iPhone XR is due to the continued popularity of the iPhone 8 in Japan. The previous generation smartphone is more affordable than the iPhone XR in the East Asian country. In another interesting development, the Wall Street Journal reports that Apple is restarting production of the iPhone X. If that information is accurate, this wouldn’t be the first time Apple has brought back an older device to meet regional demand. Earlier this year, the company restarted production of the iPhone 6s to meet the unique demands of the Indian market. That said, the Wall Street Journal’s sources note that Apple’s decision to bring back the iPhone X could be attributed to a far simpler reason. While the company’s recently cut iPhone XS and XS Max production orders, it still has to find a use for all the OLED panels it ordered from Samsung — panels that were previously earmarked for the company’s two new high-end iPhones. All of this comes as multiple reports — via the Wall Street Journal and Bloomberg — have said that Apple’s supply chain is in turmoil over a major downturn in demand for the company’s new iPhones. Foxconn, Apple’s most important supplier, plans deep cost cuts this year and into 2019 as a result of soft demand for the iPhone XS, XS Max and XR.